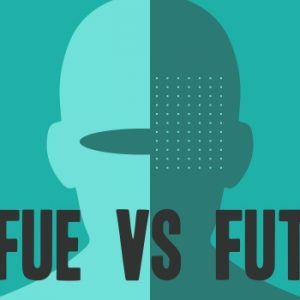 What is the different between FUE & FUT Hair Transplant method? People often do not know the fundamental difference between FUE & FUT and there is a discussion among many which are the most effective method to get the best Hair Transplant result. But the reality is both are effective and when combined together in the hands of an experienced Hair Transplant specialist it can give the most effective one time Hair Transplant Solution. FUE is less invasive Hair Transplant procedure but it is handicapped by how must donor’s hair can be extracted and sometimes one has to go for multiple sitting. FUT, on the other hand, is rather an invasive means for Hair Transplant and the doctor has to cut a strip of tissue from the scalp, before setting the graft into thousands of follicular units. Now people worry about scarring on the back of the head which is not a problem for cause in FUE which can be easily concealable. But with plastic surgery getting more advanced this issue is now been addressed and put to rest. In the hand of skilled and experienced plastic surgeon who has had hundreds of successful Hair Transplant procedure under their belt, the level of scarring can be reduced to a very high degree with smart concealment method. That is why a good plastic surgeon will use Trichophytic Closure and Dissolvable Stitches after harvesting the strip of follicles in a sterile environment. After the hair on the back gets thicker even if the individual gets a close hair cut the scar is not visible to the naked eye. Now that is settled, these days some experienced Hair Transplant doctors are actively performing both FUE and FUT Hair Transplant Procedures. However, there are many doctors who have limited themselves to doing only FUE procedure which can be unfair to the patient. FUE only surgeons may do beard or chest or other body part extractions … but this usually doesn’t match with existing hair texture, girth and growth pattern of the scalp natural existing hair. Also selecting the right candidate is important and that is why when FUE and FUT are combined the results of hair transplant are truly magnificent because it gives the patient high-density hair growth with extensive coverage of the scalp as there is less limitation of availability of donor for vast extensive coverage by performing FUT and FUE together it gives great results. By performing FUE & FUT Hair Transplant it gives more coverage if the hair loss is severe and one can avoid multiple sitting which can be uncomfortable and expensive. That is why getting FUT and FUE hair transplant done together is the most effective one-time solution to cover baldness in cases of extensive areas to be covered in a single sitting. 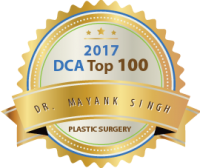 Also in special cases, Dr. Mayank Singh who is a board certified plastic surgeon performed both FUE and FUT hair transplant. This is done to give full coverage in the front of the head and on the crown. At Radiance Cosmedic Centre for excellence in hair transplant, we take a “Holistic” approach health and hair transplant procedures are performed by Dr. Mayank Singh and his team of specialists. Dr. Mayank has performed over 2500+ hair transplant surgeries. 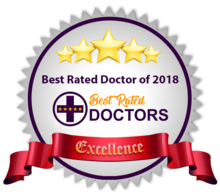 Radiance Cosmedic Centre for Excellence in the best hair transplant surgery in Delhi is one of the leading clinics in this field and it is headed by Doctor Mayank Singh M.S M.cH who has trained under some of the best plastic and cosmetic surgeons in the world and is now a leading expert in this discipline.